Coca-Cola is one of the most well known and wealthiest companies in the world. However, the company has a very interesting narrative. Coca-Cola was started by John Pemberton during a short lived prohibition on the sale of alcohol in Atlanta. Pemberton sought an alternative to alcohol, so he made a tonic that contained carbonated water, kola nut extracts, fruit flavors, and coca leaves. Brilliant idea. Here comes the crazy part; cocaine from the coca leaves was included in the drink, which is why it caught on so fast! Once this was realised by the Drugs Enforcement Administration (DEA) it was made illegal and the government limited the usage of the leaves. Not the greatest of starts right? Then the story goes that no more cocaine was in the drink, yet the flavor was still necessary and had to be obtained from the coca.Therefore, Coca-Cola continued to use coca leaves. It was not until later when the US government completely banned any importation of coca leaves into the country that Coca-Cola was really in trouble. Because the procurement of coca leaves was illegal, Coca-Cola no longer had their key flavor. Now what are they going to do? 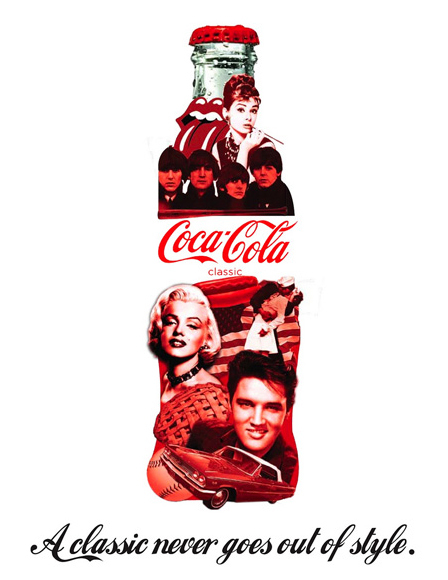 Of-course, money talks and Coca-Cola struck a deal with the DEA allowing them to continue to import the leaves, but ensuring the cocaine was removed. This is still the practice.The leaves are imported from Peru and Bolivia and DEA officers “watch closely” to make sure all the cocaine is removed from the leaves sent to Coca-Cola factories to be made into cola! Not think off how big Coca-cola is around the world and think of how much cocaine uhm I mean coca leaves are needed for total production. Crazy right? Peru and Bolivia…are they rich countries? hmmmm I wonder…. Hope you enjoyed the random but true fact. Until next-time. Share the knowledge please. …Coke and Pepsi recently BOTH had to pull an ingredient from the drinks due to avoid cancer warning. i don’t know if you allow for links on here but its quite interesting as to what else in that can…(cue eerie music).